Who doesn't love a good mystery? This mystery Block of the Month is a fun and bright quilt that runs for nine months. Featuring applique, embroidery, piecing and more. With Wendy picking the fabrics, you know it's going to be good. Only $24.99 a month for 9 nine months includes all the fabrics to make the quilt top and binding. We are offering two different ways to save this Friday, Jan. 30, and Saturday, Jan. 31! Let's celebrate the biggest TV sporting event in America by collecting cans of soup for the Food Bank. For every can of soup you bring in on Friday and Saturday, you will receive 1 percent off your entire purchase up to 20 percent off! So, if you bring in 5 cans of soup, you'll receive 5 percent off, 10 cans of soup, 10 percent off and so forth. You're going to be at the grocery store stocking up on snacks for your Super Bowl party so, you might as well grab some soup. Let's fill up the Food Bank! No deflated footballs (#deflategate) happening here. But, we are deflating prices on one kit of your choice on Friday and Saturday. How you ask? By playing a fun game of finger football. You flick the paper football and the yard line the paper football lands on is your discount for the one kit. Easy-peasy, right? You could receive 50 percent off the kit of your choice. Missie Carpenter Workshops At HIQ! There are still spots available in Missie's two workshops next week. Don't miss out! If you sign up for both of Missie Carpenter's workshops at HIQ!, you can receive a $10 discount on the class cost. Enter this code "MISSIE2" at check out when registering for both classes. 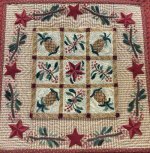 Primitive Pineapple Welcome Punch Needle - Thursday, Feb. 5, from 10 a.m. - 4 p.m.
Missie will teach us to punch in the morning and then show us how to finish the project by adding borders and applique in the afternoon. Pennies In My Garden Wool Applique - Friday, Feb. 6, from 10 a.m. - 1 p.m.
Wendy and Andree will be representing HIQ! at Kathy Dunigan's inaugural applique academy. Stop by their booth to say "hi" and purchase the beautiful Den Haan and Wagenmakers BeHeer's Dutch Chintz. 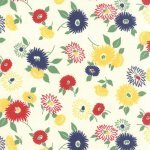 They will have yardage, fat quarters, charm packs, trio roll and kits. 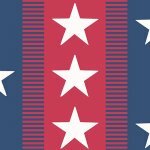 They will be in Rockwall, Texas, from Tuesday, Feb. 3, through Saturday, Feb. 7. Don't miss Janet Lindsey's silk ribbon class. Her project is beautiful! Learn "big stitch" quilting from Jill Green tomorrow morning Friday, Jan. 30, from 10 a.m. - 1 p.m. 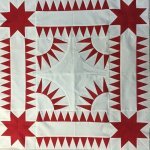 In this class you will learn the basics of utility quilting and discuss the variety of thread that can be used. This type of quilting can suit many styles ranging from primitive to modern. Register today. Let's sew up some pillowcases or cut pillowcase kits for ConKerr Cancer DFW. This is a fun time to come and sew or cut pillowcases for sick children in the DFW area every fourth Friday of the month. Come for an hour or stay all day! Join us this Friday, Jan. 30, from 2-5 p.m.
Penny has found a fun quilt for her beginners! Join Penny for a 5 week class and learn how to properly rotary cut, measure, press and machine piece quilt blocks.You'll also learn how to sew the blocks together and add borders to complete the quilt top. She is offering two sessions - one on Sunday from 1-4 p.m. and one on Thursday evenings from 6-9 p.m. The Sunday group begins Sunday, Feb.1, and the Thursday group begins Thursday, Feb. 5. Enroll today. M.J. Fielek has out done herself again. This two-month session of Tips & Techniques focuses on making a New York Beauty quilt. M.J. will take the fear and worry out of this foundation paper pieced quilt by giving you step-by-step instructions as you work on the blocks. Join M.J. on Monday, Feb. 9, and March 9, from 12-3 p.m. Register today. 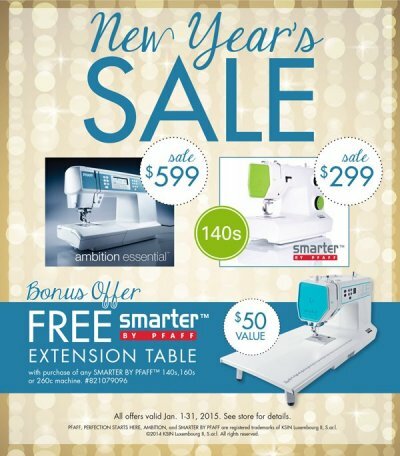 Final Days for the PFAFF New Year's Sale! !